weincasting! 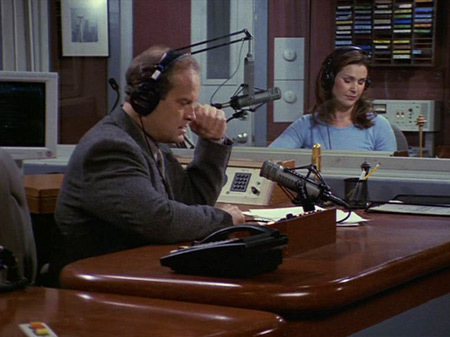 » Dr. Ni… Frasier Crane Quotes IX. Dr. Ni… Frasier Crane Quotes IX. Frasier: And hello to you, Seattle. Welcome to ‘The Wine Corner’. I hope you’re as excited about this new program as I am. I offer myself as Sherpa, a guide, if you will, to lead you through the labyrinth of vintages and wine lists, chateaus and bodegas, and take you, hopefully, to a whole new level of sophistication. In summary, Linda, the year listed on the bottle is not an expiration date. So that wine from 1979 should be perfectly safe to drink. Dr. Niles Crane Quotes XVII.